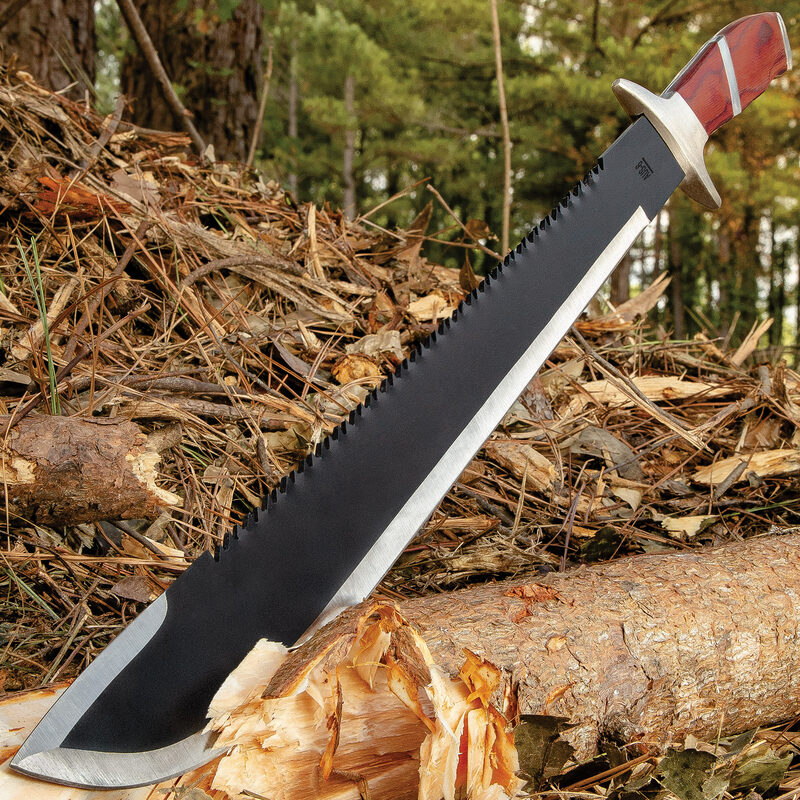 A sleek machete with a sawback spine, the War Hunter is packed with enough cutting, chopping and slashing power to tackle any job, from hacking through thick vegetation deep in the bush to clearing unsightly brush in your suburban backyard. 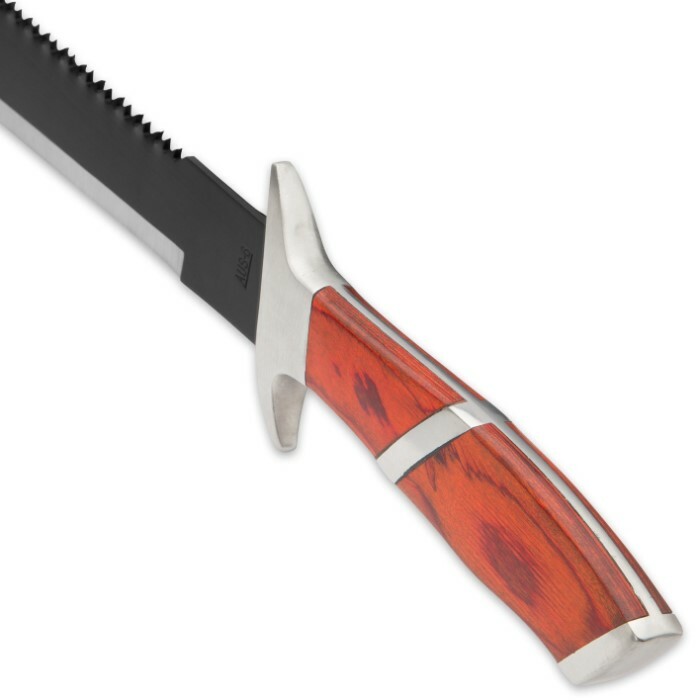 A hefty 17" full tang stainless steel blade is the source of the War Hunter's versatility and potency, and the handsome brown pakkawood handle makes it easy to wield for even extended cutting jobs. No need to worry about your fingers slipping onto the razor sharp blade, thanks to the stainless steel guard. Includes a tough black nylon sheath for protection and easy, safe transport. I bought one of these about a year or two ago and the only complaint is that the handle rattles when you hit something although it is comfortable and doesn't have any pinch points or cause chafing which leads to blisters. Blade is pretty good, haven't used the serration saw back. Great weapon! I bought five of these beauties. Blade is long, strong, durable, dependable and sharp! Handle is comfortable in hand. One of my favorite aspects is the serrations which run along the top of the blade. 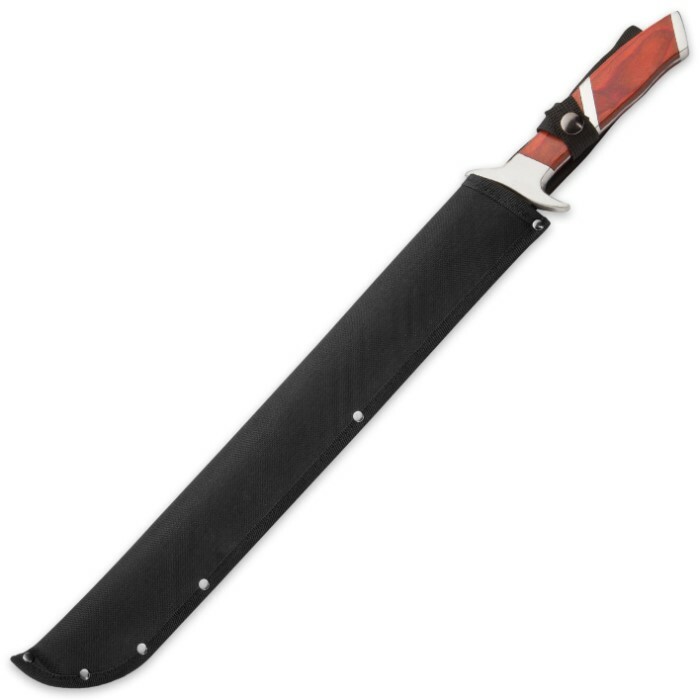 As if the blade's sharpness and strength were not enough for phenomenal stabbing/piercing/slashing, the serrations will surely finish off any adversary with over 15 inches of deadly ripping power. Again, it's a great weapon and now it's only $10! YOU WON'T LOSE!